Beautifully pedicured feet were deep purple when we left that night! Fabulous Malbecs, great food and literally so many of the guests, great sports! 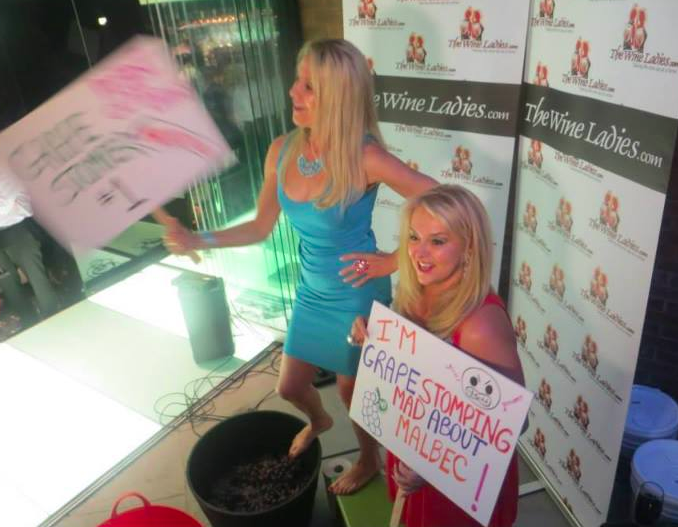 They took off their shoes and jumped in and stomped the grapes! What a night, we have to do it again! FOLLOW US HERE, You won’t want to miss this Episode. Look out wine world!!!! The 8th Annual Malbec World Day is celebrated with tons of tastings, events and parties going on around the globe. A salute to this luscious, spicily rich, very relish, red grape! 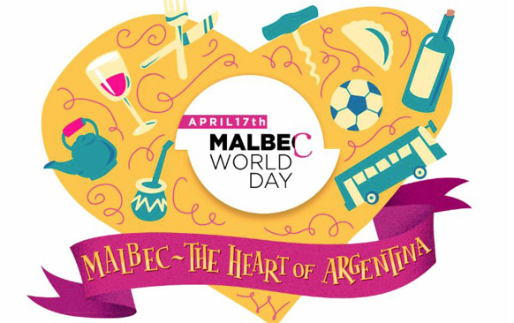 This year once again we are doing our part to participate in the annual Malbec World Day on April 17th! So honouring the Malbec grape once again, as well as the country that has become synonymous with Malbec, that could only be Argentina, we have two guests that will join us today, both producing amazing Malbec! Our first guest on the show Julian Orti, Export Director, Pascual Toso. 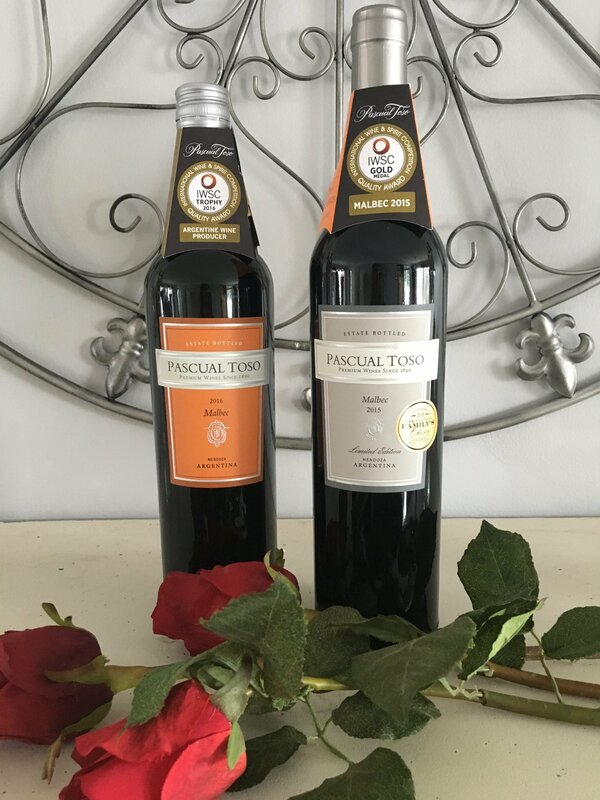 We’ll begin with one of the oldest and most prestigious wine producers in Argentina, it is quickly becoming one of the leading quality wine brands in the country, the winery is Pascual Toso. 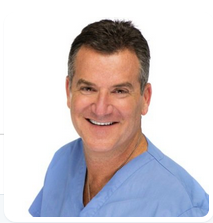 And to our second guest, so many are seduced by and drawn to this beautiful country.We’ll welcome back, he’s a favourite returning guest of ours Dr. Gary Glassman. 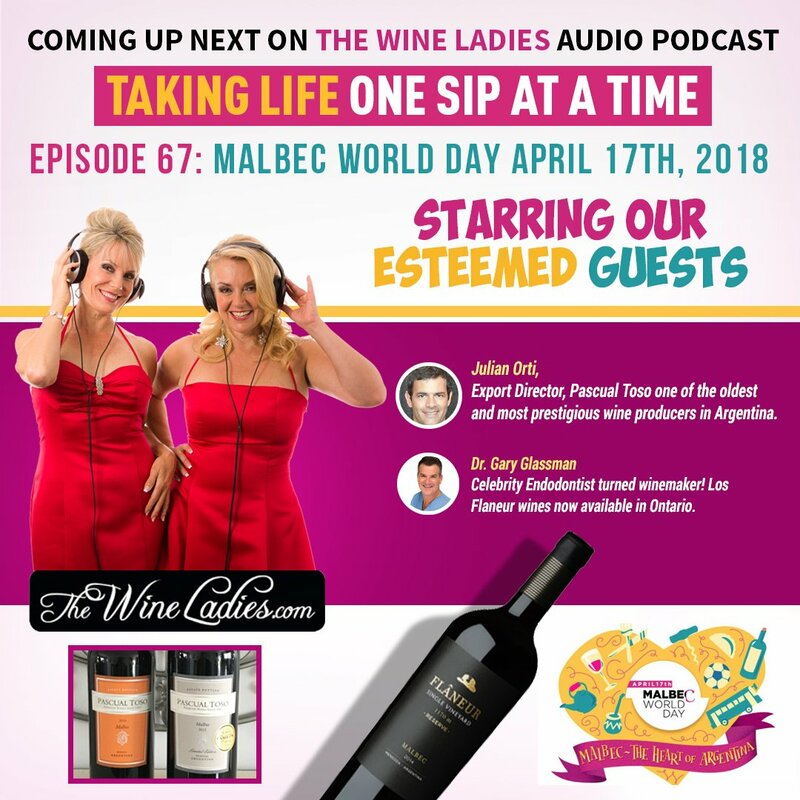 Dr. G is an endodontist, a wine lover and proud co-owner of a vineyard located in the heart of the Tiera de Malbec, Lujan du Cuyo in Mendoza, the winery is Flaneur. 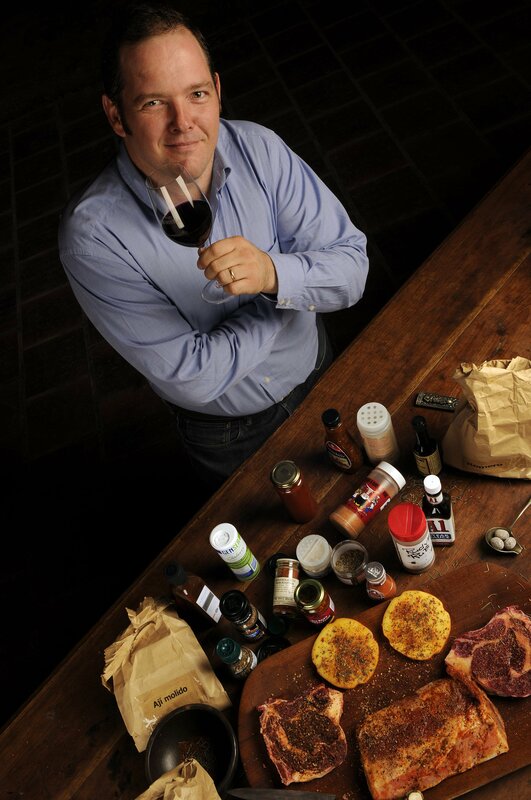 Gary to give us an update on his wines as well as offer us a few tips on wine and oral health. It is GOOD news folks!!! Wines now available in Ontario through Da Capo Wines. 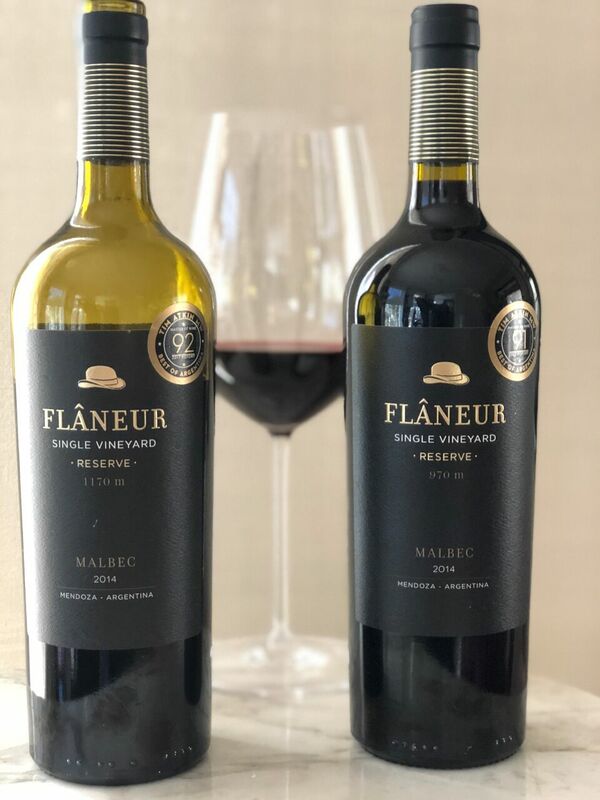 Dr. Gary Glassman – Los Flanneur, Malbec, Mendoza, Argentina. 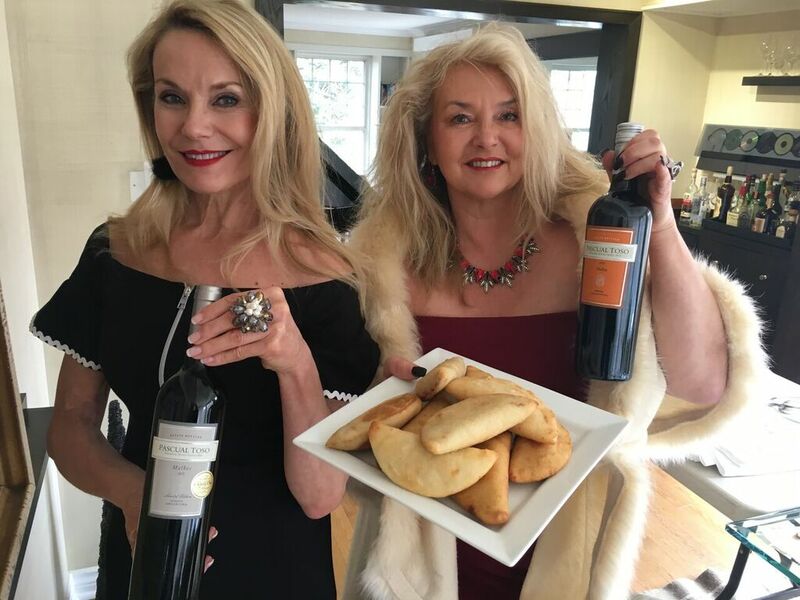 https://www.thewineladies.com/wp-content/uploads/2018/04/Malbec-World-Day-2019.jpg 583 580 Susanne Seelig-Mense https://www.thewineladies.com/wp-content/uploads/2017/08/WineLadiesLogoTransparent.png Susanne Seelig-Mense2019-04-11 11:26:522019-04-12 09:31:07On this week's Audio Podcast With The Wine Ladies...Episode 67: Malbec World Day. https://www.thewineladies.com/wp-content/uploads/2017/12/GaryGlassmanDentistchairsFlanneurs.jpeg 960 960 Susanne Seelig-Mense https://www.thewineladies.com/wp-content/uploads/2017/08/WineLadiesLogoTransparent.png Susanne Seelig-Mense2018-04-04 07:47:092018-04-06 17:34:13Passion turns to Purpose, Celebrity Endodontist turned winemaker! Malbec is the heart of the Argentine wine industry and continues to be the global wine ambassador. This Malbec has aromas of plum and blueberry with spice and peppery notes. Dry with good aroma replays. Structured with soft tannins and a solid fruity finish. Las Barrancas is in a stunning location with premium quality soils, ideal climate and environment, located in Mendoza, in the district of Maipu within the Mendoza River highland. 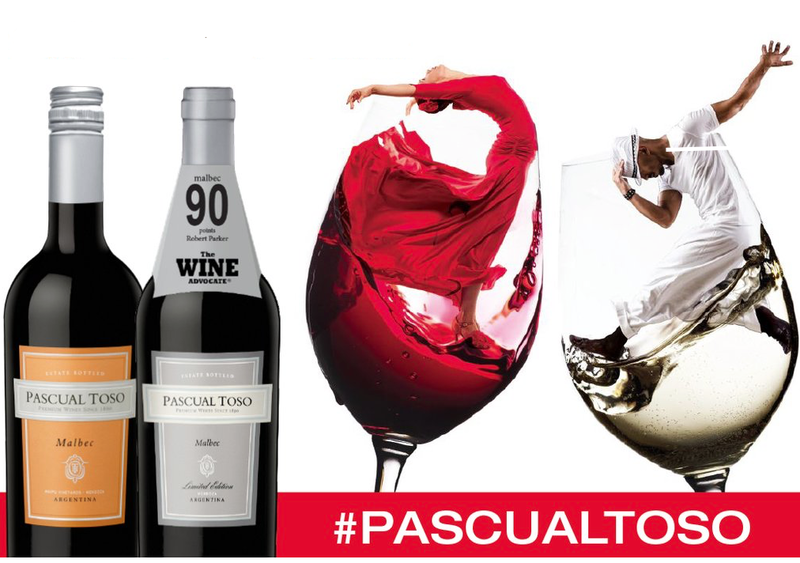 In the area, at around 750 meters above sea level, more than 400 hectares belong to Pascual Toso. It is a heterogeneous terroir, an uneven piece of land going down 7 meters, where stretch soils with bare rock in which grapes stand up with all its quality, to deeper soils with green coverage. Las Barrancas possess excellent conditions for climatic agriculture, with warm days and fresh nights, low humidity relative and high heatstroke what is translated in vineyards with excellent quality of fruits and sanity. The water for irrigation comes from the snow of the Andes mountain trough the main River of the county, “Mendoza River”. Organic matter is very scarce due to the quick decomposition it goes through because rains are not heavy and there is intensive cultural activity. Although the soils are of similar origin, various textures may be found in small areas. 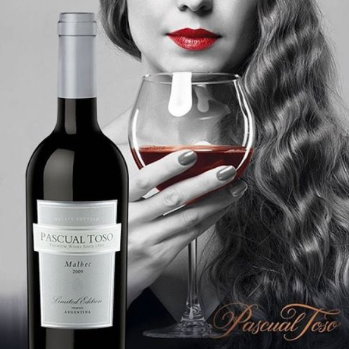 Celebrate Malbec World Day in style with Pascual Toso Malbec!! https://www.thewineladies.com/wp-content/uploads/2016/04/images_PascualTosotangoinglass.png 712 1012 Susanne Seelig-Mense https://www.thewineladies.com/wp-content/uploads/2017/08/WineLadiesLogoTransparent.png Susanne Seelig-Mense2016-10-30 17:34:442018-02-28 06:59:17Celebrate Malbec World Day in style with Pascual Toso Malbec!! 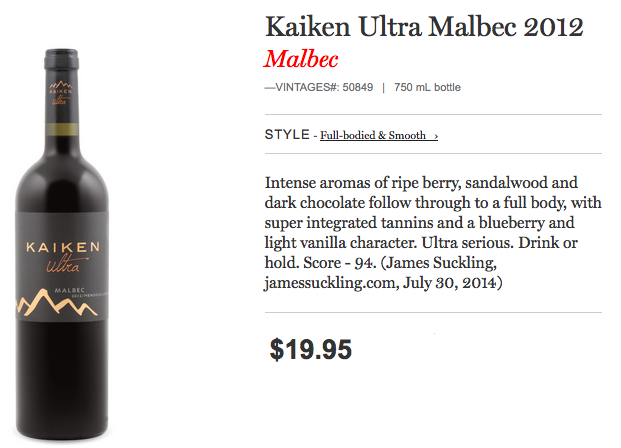 Kaiken Ultra Malbec 2012, Georgia’s Wine Pick. I really enjoyed this Malbec from Argentina, naturally, the signature grape for this region. It was full bodied, with a really seductive aroma of ripe berries, black cherry, hint of chocolate. Very promising! Delivered big flavours, rich and velvety with a touch of vanilla. Elegant and with a long finish. 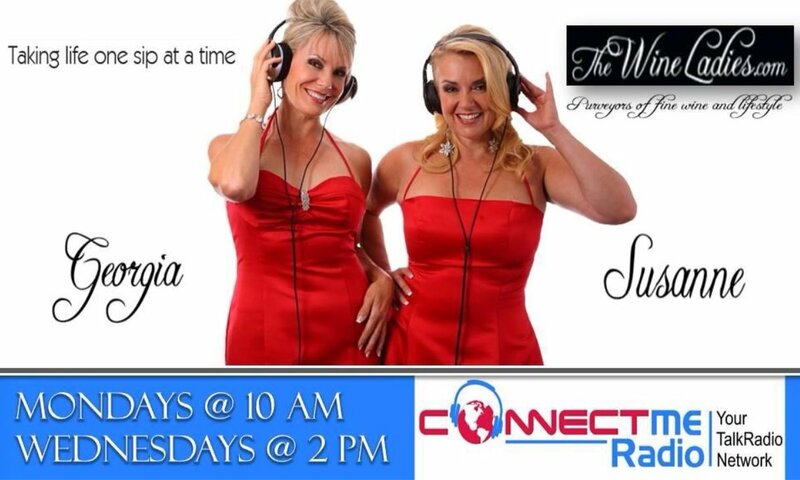 Listen to my wine review at 5:40 minutes into the show! https://www.thewineladies.com/wp-content/uploads/2015/11/images_Kaiken.png 96 201 Susanne Seelig-Mense https://www.thewineladies.com/wp-content/uploads/2017/08/WineLadiesLogoTransparent.png Susanne Seelig-Mense2015-11-16 13:30:092018-04-01 14:51:48Kaiken Ultra Malbec 2012, Georgia's Wine Pick. 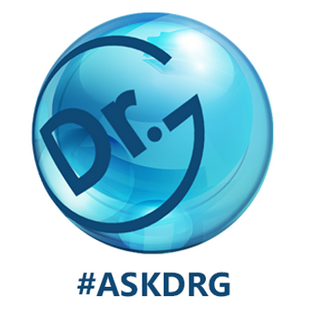 Returning radio guest #AskDrG Dr. Gary Glassman shares his Wine and Oral Helath tips on The Wine Ladies radio! 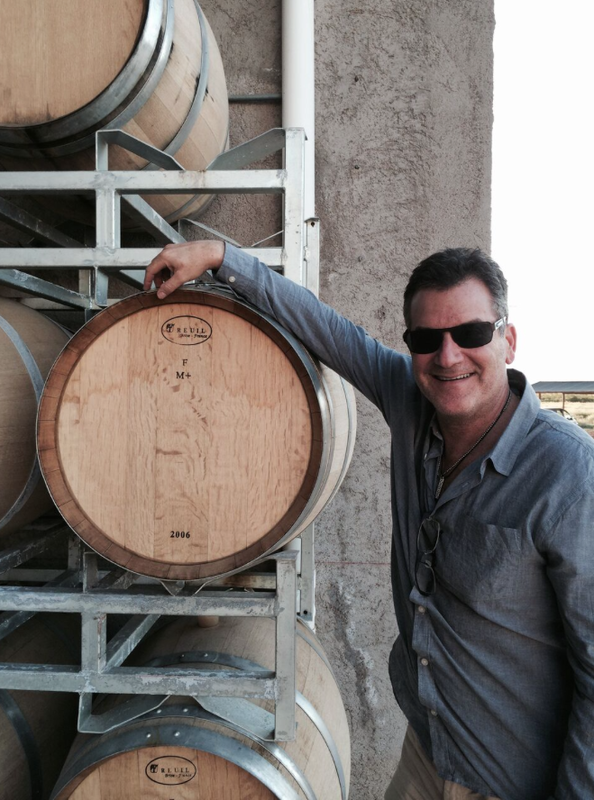 And in contrast to Catena Zapata, staying in Mendoza, we’ll welcome back, a regular guest on our show Dr. Gary Glassman, #AskDrG an endodontic specialist and a proud owner of a small winery and vineyard which he co-owns with a few buddies, “The Wine Guys”. 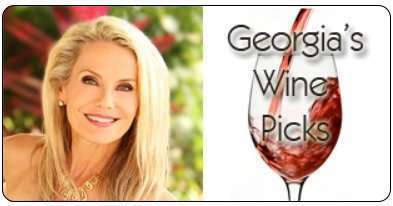 We’ll get an update from Dr. G and as always a few wine and health tips and tricks for a brighter smile. https://www.thewineladies.com/wp-content/uploads/2015/08/images_DoctorGAsk.png 310 312 Susanne Seelig-Mense https://www.thewineladies.com/wp-content/uploads/2017/08/WineLadiesLogoTransparent.png Susanne Seelig-Mense2015-08-13 23:06:372018-04-06 17:37:25Returning radio guest #AskDrG Dr. Gary Glassman shares his Wine and Oral Helath tips on The Wine Ladies radio! 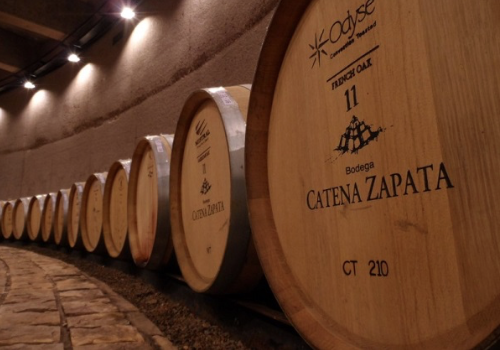 World class Argentine Bodega Catena Zapata winery and Ernesto Bajda. On the week’s audio podcast. Chile is squeezed between the ocean and the mighty Andes mountains. This serves the vineyards of our next featured country extremely well. That is Argentina! 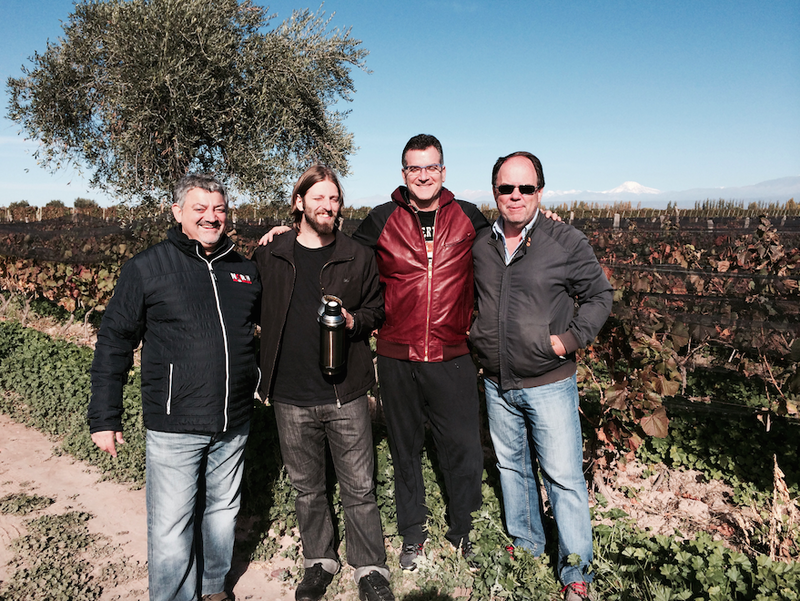 Calling in from Mendoza, Ernesto Bajda winemaker for Bodega Catena Zapata. 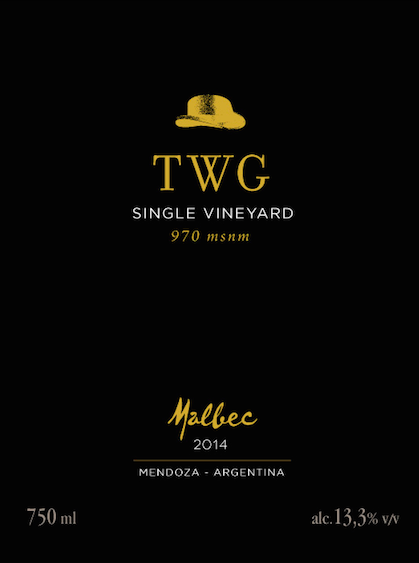 This is a winery over four generations that has been a major player in transforming and elevating the quality and profile of the wines of Argentina. An incredible story. 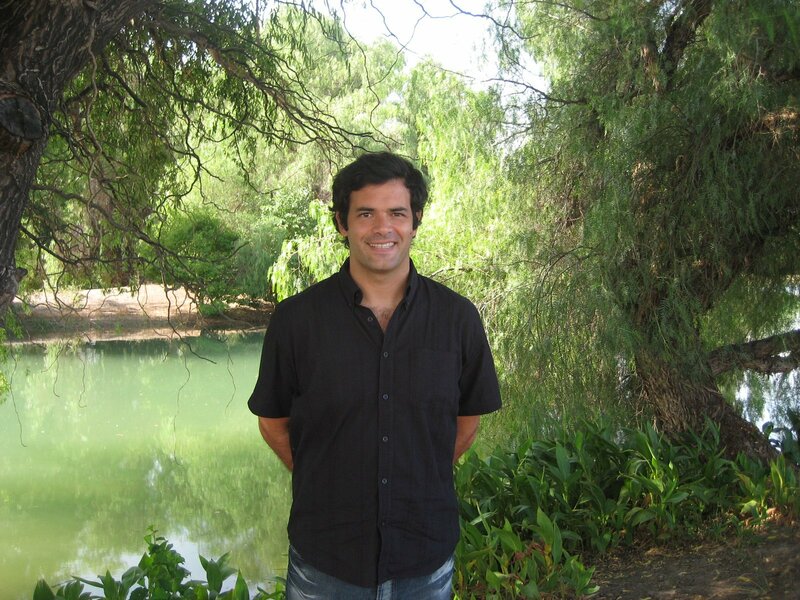 “What sets Nicolás Catena Zapata apart from other top producers in the world is his unflagging dedication to researching, studying, and learning every aspect of viticulture and winemaking that could potentially improve his wines”. 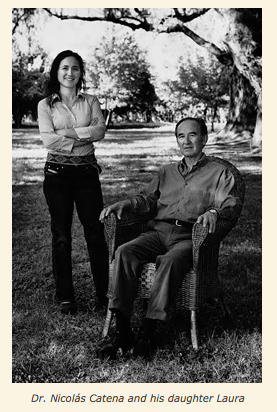 “Nicolás Catena was the true pioneer and is still the most important wine personality in Argentina. They are so forward thinking and smart as they are still at the head of quality wines in the country. Doing amazing research and never resting on their laurels”. We have a super lineup of guests this week. Our topic today Sizzling South America. With their red hot wines, incredible gastronomy and the exploring of what one of our favorite Globe and Mail columnist recently called the “hippest sip of the moment”, that is Pisco. 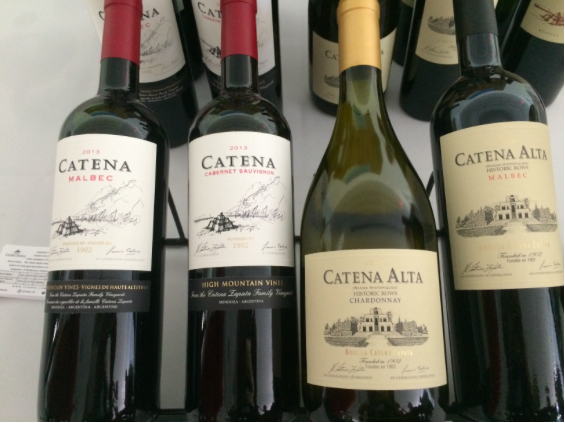 Bodega Catena Malbec 2012, Susanne’s Wine Pick. 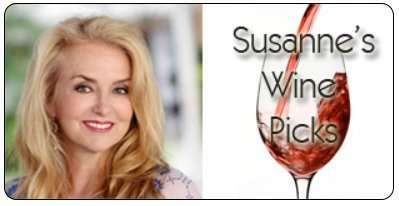 https://www.thewineladies.com/wp-content/uploads/2015/08/images_CatenaWines.png 423 565 Susanne Seelig-Mense https://www.thewineladies.com/wp-content/uploads/2017/08/WineLadiesLogoTransparent.png Susanne Seelig-Mense2015-08-13 12:21:322018-04-06 17:45:40World class Argentine Bodega Catena Zapata winery and Ernesto Bajda. On the week's audio podcast. Fabre Montmayou Reserva Cabernet Sauvignon 2012, Susanne’s Wine Pick. With Malbec World Day just around the corner all eyes of the wine world will be turned to Argentina. Although, Malbec did put Argentina on the world wine map, they are also known for many other grape varieties as well. Including one of my faves, Cabernet Sauvignon. My wine pick this week in celebration is the Fabre Montmayou Reserva Cabernet Sauvignon 2012. Produced by Fabre Montmayou Winery & Vineyards from the fruit of 30 year old vines.One of his missions of the owner and winemaker Hervé Fabre to only purchase or use grapes from older vineyards. These grapes come from the Lujan de Cuyo region. 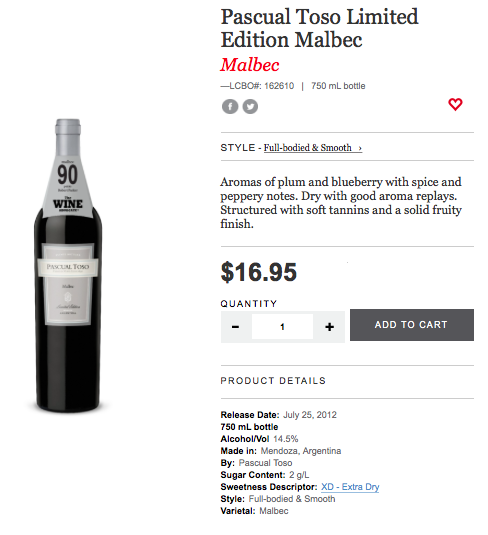 LCBO Vintages 261891 – $17.95 per bottle. 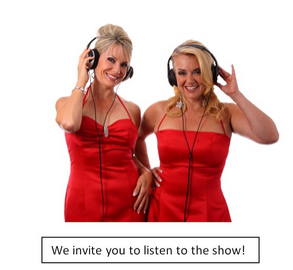 TUNE INTO THE WINE LADIES RADIO SHOW at 6:20 minutes into the show. 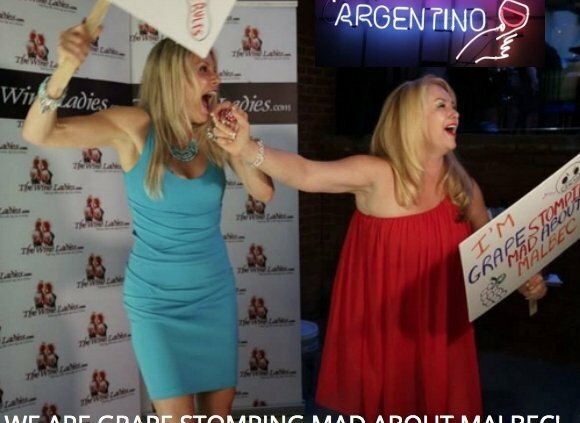 On this week’s radio show…We are grape stomping mad about Malbec and Malbec World Day…. April 17th, 2015! 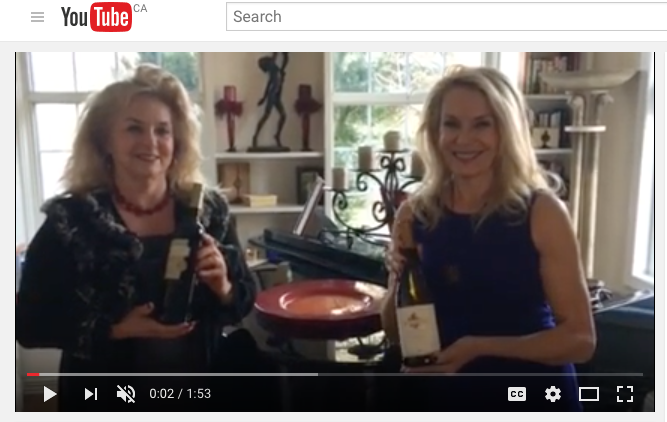 https://www.thewineladies.com/wp-content/uploads/2015/03/images_FabreMontmayouReservaCabernetSauvignon.jpg 511 212 Susanne Seelig-Mense https://www.thewineladies.com/wp-content/uploads/2017/08/WineLadiesLogoTransparent.png Susanne Seelig-Mense2015-03-30 12:18:302018-04-28 16:56:10Fabre Montmayou Reserva Cabernet Sauvignon 2012, Susanne's Wine Pick.